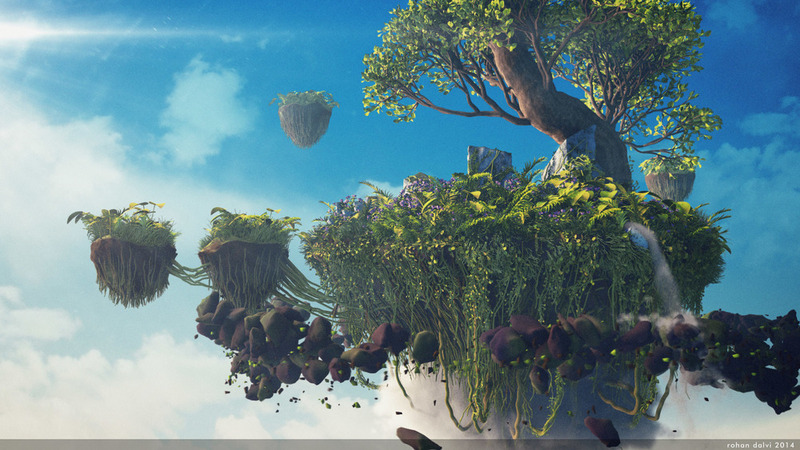 The training covers various aspects including terrain modeling and sculpting, generating large quantities of plants and vegetation in Houdini. The plants and trees will be developed using L-Systems. The training will also cover Rigid Body Dynamics, Particles and Fluids to create certain elements of the image. The training is split into 3 parts, each part is available separately. Part 1 will cover terrain modeling, modeling using the VDB tool set. It will also deal with creating grass using the fur procedural and a variety of creepers and vines on the island and the druid circle. Part 2 will cover the basics of L-systems and will use that knowledge further to create plants, ferns and trees. Part 3 will cover the dynamics tool set such as RBD, creating custom forces to create the debris field, Fluids, particles and clouds. This part will also cover the final material, lighting and compositing of the image. Given below are the details regarding all the 3 parts. L-systems Basics - Learning the basics of L-systems. Flowers - Modeling a flower and using L-systems to model the plant.